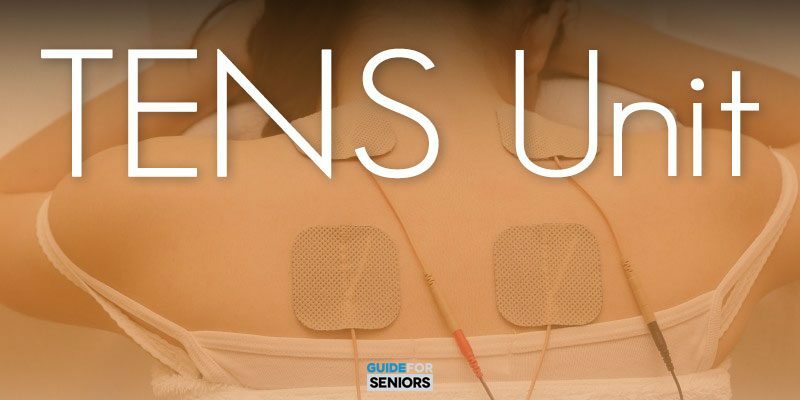 TENS is an acronym that stands for Transcutaneous Electrical Nerve Stimulation. Sounds scary and TENS unit is so much easier to pronounce. TENS units are predominately used for nerve related pain conditions, both for acute pain goals and chronic conditions. It works by sending stimulating pulses across the surface of the skin and along the nerve strands. TENS units are for pain treatment and relief. No, it does not hurt. Yes, it feels great. Should you try it? YES. If you are hurting badly enough you will try anything. It will definitely help with your acute pain goals. No, it will not affect your anti-aging strategies. The TENS unit is a small rechargeable device. Attach two electrodes to your skin at the point of the pain. They are self-sticking and reusable. The wires are attached from the electrodes to the device. Now turn it on! You have complete control so slowly increase the intensity of the unit. Small electrical signals will be sent to the electrodes and you will get a tingling sensation where they are placed. The higher the power, the harder and faster the signal is sent to the electrodes. It feels like you are getting a massage. Very relaxing and comfortable. There have been numerous clinical trials as well as double-blind studies performed with TENS units for acute pain goals. The final outcome is that use of high-intensity stimulation and high-frequency TENS appears to be effective, particularly in the short term. 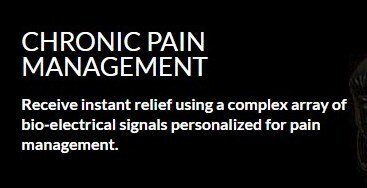 It is especially helpful for the relief of chronic musculoskeletal pain as well as for acute, emergent, and postoperative pain conditions. If you hurt your shoulder lifting a heavy object, you should try it. If you have a pain in your neck from a very old injury, you should try it. Sometimes your body only needs a boost to stop the cycle of pain. The reasons to try the TENS unit are numerous. In 2014 the FDA approved the marketing of a unit specifically for headaches and migraines. Years before, in the 1950’s the sale of units were banned due to the unsubstantiated claims and cures. A TENS unit may or may not help to alleviate your pain. However, you can not afford not to give it a chance. We would be amiss if we did not issue a few warnings. 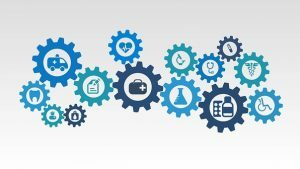 If you have a pacemaker or any other type of electrical or metal implant, be sure to talk to your physician before attempting to use the TENS unit. The same advice is given to those women who are pregnant or to any person who has epilepsy or a heart rhythm disorder. Don’t put it on the sides of your head around your arteries. Read the instructions and warnings. It may be a good idea to seek medical advice before trying out the TENS unit. However, if you are a healthy individual, there should be no problem. Most units turn off after a certain amount of time so you have to consciously turn it back on for longer periods of time. Don’t be stupid. If it hurts, STOP. That being said, I love my TENS unit. Many chiropractors, physical therapists, and doctors use them constantly on their patients. It is a wonder drug for acute pain goals. You can purchase your own unit and have the relief you need when you need it. The cost of a TENS unit is not prohibitive. They can be purchased for as little as $40 for up to thousands. The model we recommend costs about $300. Worth every penny for the relief it gives. No sense in having one that only works when it wants to. You can spend a little money for a unit or you can spend a little more money and get a reliable unit. 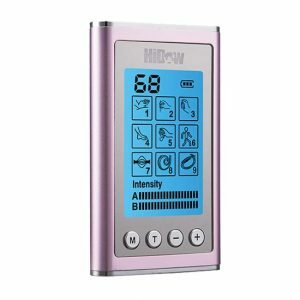 You can purchase your HiDow Tens Unit here. This one is rechargeable and has two channels. If you need it during the day but want to get out of your home, slip on the electrodes and put the unit in your pocket. Hi-Dow AcuXPD-S 18 Modes | TENS Unit EMS PMS FDA Cleared | Dual Independent Channels | Electronic Pulse Massager & Electrode Muscle Stimulator Physical Therapy Massager Machine for Pain Relief . The TENS unit is not a cure. It often provides temporary short-term relief of pain depending on the cause. If you have pulled a muscle that will heal in time, the TENS unit is invaluable. It is not suitable for every single condition or type of pain. It can help you to achieve your acute pain goals. The following is a you tube video about TENS units. We recommend that you look at the video before using your TENS unit. If you decide it is for you, we would appreciate your using our link to purchase one. It is an affiliate link and the money we make from your use of our links helps to defray the costs of this website. TENS units have been used since the 1960’s by healthcare professionals as a form of pain relief. It may not help everyone but it only matters if it helps you with your pain. If it hurts badly enough, anything is worth a try. Here is more information about the TENS units and pain relief from The Good Body. The side effects are relatively negligible. It certainly is better for you than drugs. For most people, it is a safe treatment. That is why so many healthcare professionals use TENS units. You may have a minor irritation at the site of the padded electrodes. It should be no worse than the sticky in band-aids. If you use it for too long or too high an intensity on a particular site, you may feel some uncomfort. Easy to fix. Turn the unit off! Read more articles on Guide For Seniors for ways to improve your health.